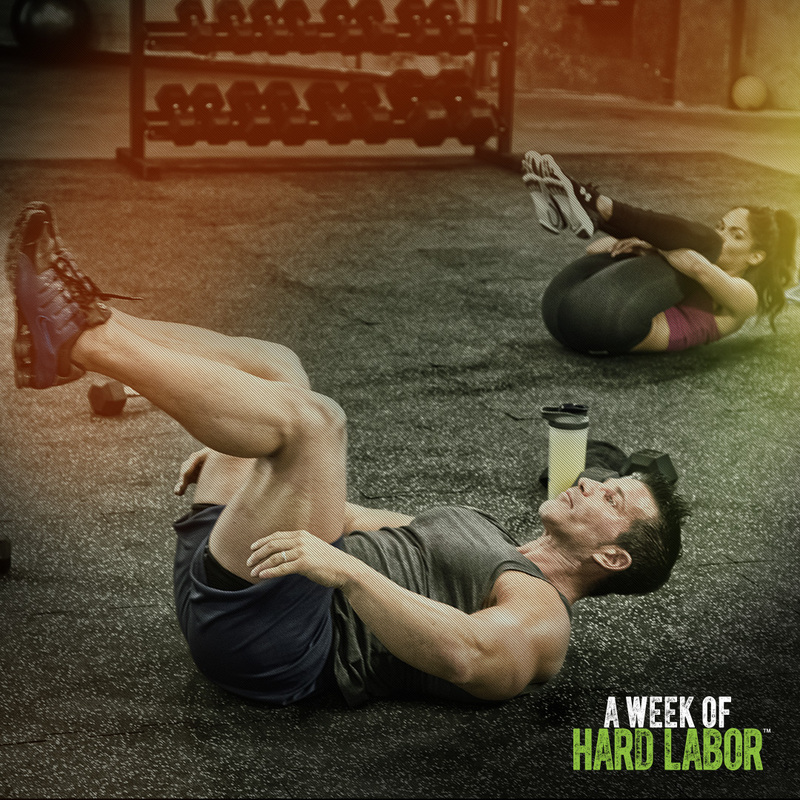 Get content you can customize and share with your A WEEK OF HARD LABOR™ Challenge Groups. Post the prep week topics to your group's feed. Welcome to our A WEEK OF HARD LABOR Challenge Group. Whether you want to start getting ripped or simply amp up your workout schedule, you are in the right place—and you’ll be successful as long as you keep a “whatever it takes” attitude. 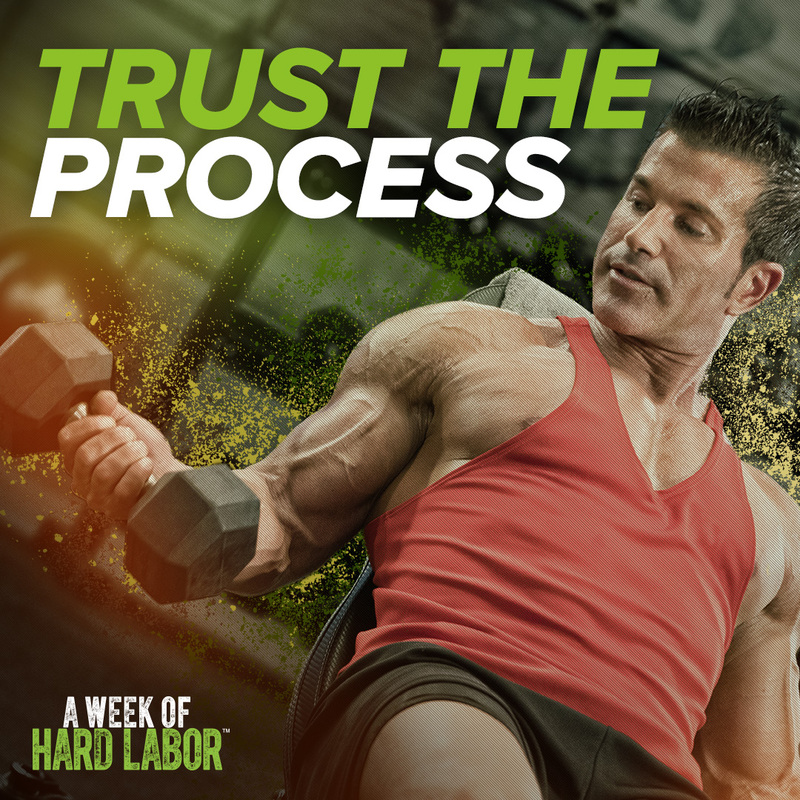 Led by Body Beast’s Sagi Kalev, A WEEK OF HARD LABOR includes 5 days of intense weightlifting routines, as well as a 5-day eating plan to keep your nutrition clean and optimized for performance. I’ll be honest—A WEEK OF HARD LABOR is tough. But I will be here to keep you motivated every step of the way. Treat this as your support group. Ask questions, share your experiences, and connect with other members. Staying accountable to each other is the best thing you can do to ensure your success. Since A WEEK OF HARD LABOR is challenging, Sagi suggests modifications throughout, but please know that you can lower your weights (or even do the reps without weights) at any time. Sagi and I just want you to give it your best shot. 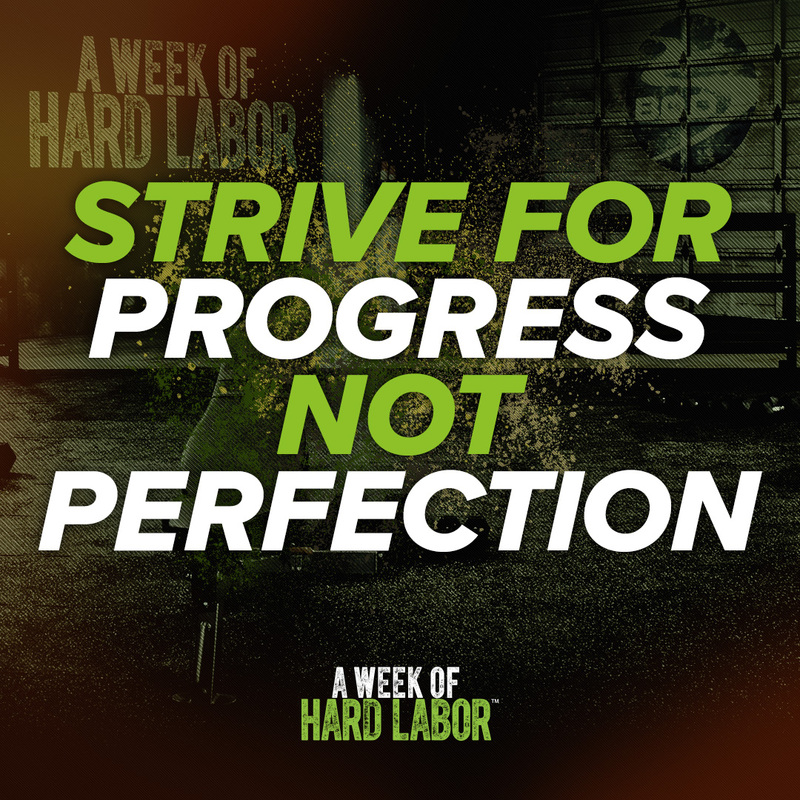 Why are you committing to A WEEK OF HARD LABOR? Are you drinking Shakeology and/or taking any Beachbody Performance supplements? You can stream your workouts from your laptop, tablet, or smartphone, or download the free Beachbody On Demand app for iPhone, iPad, or Android. You can also stream Beachbody On Demand through your TV using Apple TV, Roku, Amazon Fire TV, and Chromecast. A WEEK OF HARD LABOR includes a 5-day eating plan that you can access digitally on the program page. With Beachbody On Demand, you'll also have access to nutrition plans across all of our other programs as well as hundreds of recipes on the Beachbody On Demand blog. Beachbody’s healthy cooking show, FIXATE, features some awesome easy-to-follow recipes prepared in perfect portions for healthy weight loss. 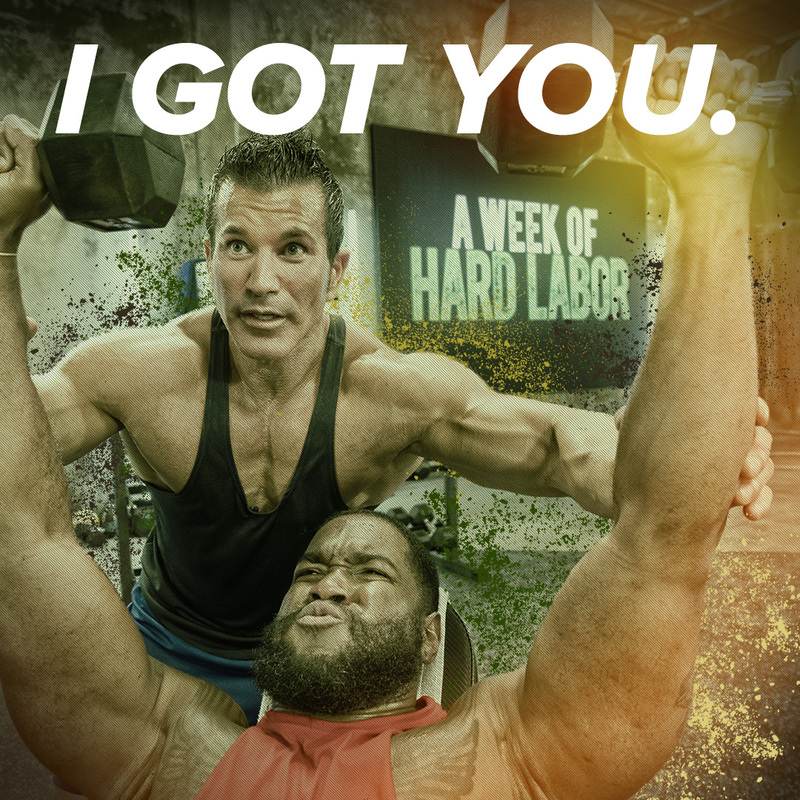 Aside from A WEEK OF HARD LABOR, you can access more than 700 workouts on Beachbody On Demand after you finish the program. Need help determining how much weight you should use? If you’re relatively new to weightlifting, go with lighter weights. If you find you're not challenged, try heavier weights the next day. Just remember to lift the appropriate weight that will allow you to be able to complete all of your sets of a given exercise with good form. Just because Sagi can lift 100 pounds on each arm during the workout doesn’t mean you have to do the same, and in fact, you can lift 3- or 5-pound weights if you want! For a checklist of everything you’ll need, download the workout calendar from the Program Materials section of A WEEK OF HARD LABOR. If you haven't already, today's a good day to set goals for what you'd like to accomplish by the end of your challenge. Because A WEEK OF HARD LABOR is only 5 days, keep your goals realistic for the short time frame. While it’s true that you’re not going to get completely ripped in just 5 days, this week will help you reset your body and mind to be healthier and more positive! Make a promise to give your best every day. When the going gets tough (and trust me, it will get tough), remember this promise—and remember we’re in this together. 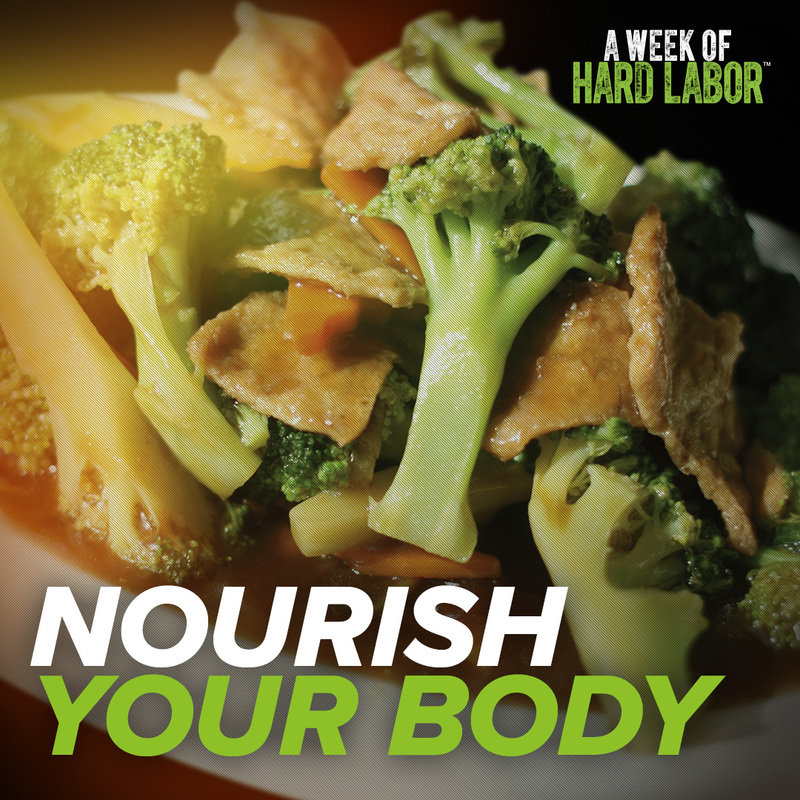 Take some time today to review the A WEEK OF HARD LABOR eating plan, so your diet is on point from Day One. Eating right is key for A WEEK OF HARD LABOR if you want to maximize your results. In addition to eating minimally processed foods, consuming plenty of fruits and vegetables, and staying hydrated, drinking Shakeology daily can provide the “missing link” to superfood nutrition you may not normally get. Shakeology is a superfood protein shake packed with globally sourced premium ingredients, including phytonutrients, antioxidants, enzymes, pre- and probiotics, adaptogens, and more. 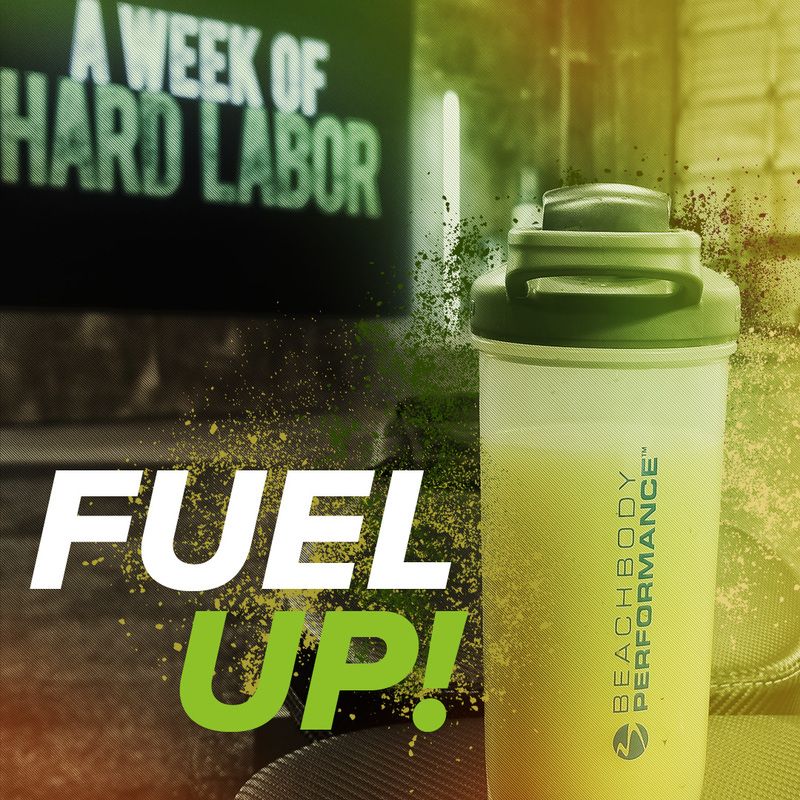 Not only can Shakeology help you lose weight and curb junk-food cravings, it can provide you with healthy energy to help you power through A WEEK OF HARD LABOR. * If you haven’t already done so, this is the time to grab Shakeology and kick junk food and sugary soda drinks to the curb! Just because these workouts aren’t cardio-based doesn’t mean you’re not going to sweat. Conversely, you’re going to sweat A LOT from these long workouts. To avoid dehydration and maximize your performance, it’s important to drink plenty of fluids throughout your day. We recommend half your body weight in ounces. We also recommend Beachbody Performance Hydrate during your workout for an extra edge. Not only is keeping your fluids up important for keeping your body well lubricated and functioning properly, but research shows that even a 1–2% drop in hydration level can mean up to a 10% loss in power output—and when you’re doing A WEEK OF HARD LABOR, it’s all about the power, right? We kick off tomorrow, so rest up and come prepared to start working hard. Because these workouts require several pieces of equipment, make sure you have ample room in your work out space. IT’S DAY ONE AND IT’S TIME TO GET TO WORK. After you’re spent from Chest & Back today, Beachbody Performance Recover is a great way to help combat exercise-induced muscle soreness. This formula has the ideal combination of timed-released proteins and phytonutrients to help facilitate muscle recovery and promote muscle protein synthesis. * I’m a huge fan of the Orange-flavored Recover, but there’s a Chocolate flavor as well. Even though you might be hurting now, building muscle has all kinds of benefits. Strength training can help you burn more fat, lose weight, and build strong bones, which is so important as we age. Pat yourself on the back because you’re all doing an amazing job! It’s Day Two and I want to talk nutrition! The 5-day eating plan includes sample menus and variety-packed food lists so it takes the complexity out of eating right over the course of the week. An easy and delicious no-brainer to add to this regimen is drinking Shakeology. Because Shakeology is packed with some of the world’s most potent, nutritious, and delicious ingredients, it’s one of the quickest and easiest ways to help you eat healthy, stay satisfied, and power through your A WEEK OF HARD LABOR workouts. * Plus, Shakeology now comes in a variety of delicious original and vegan flavors, so you’re sure to please your taste buds. Need some meal ideas? Try Sagi’s: he likes to pair brown rice with organic protein, and use natural spices like paprika, cilantro, and basil to add flavor. His dinner salads include a mix of chickpeas, spinach, dark leafy greens, carrots, and a healthy protein. For more recipe ideas, check out the Body Beast Eating Plan, FIXATE on Beachbody On Demand, and the Shakeology site for recipes specific to Shakeology. The best thing about this program is these five routines can be used for a lifetime—do them over and over again, or add them à la carte to your workout regimen to target whichever muscle group you desire that day. 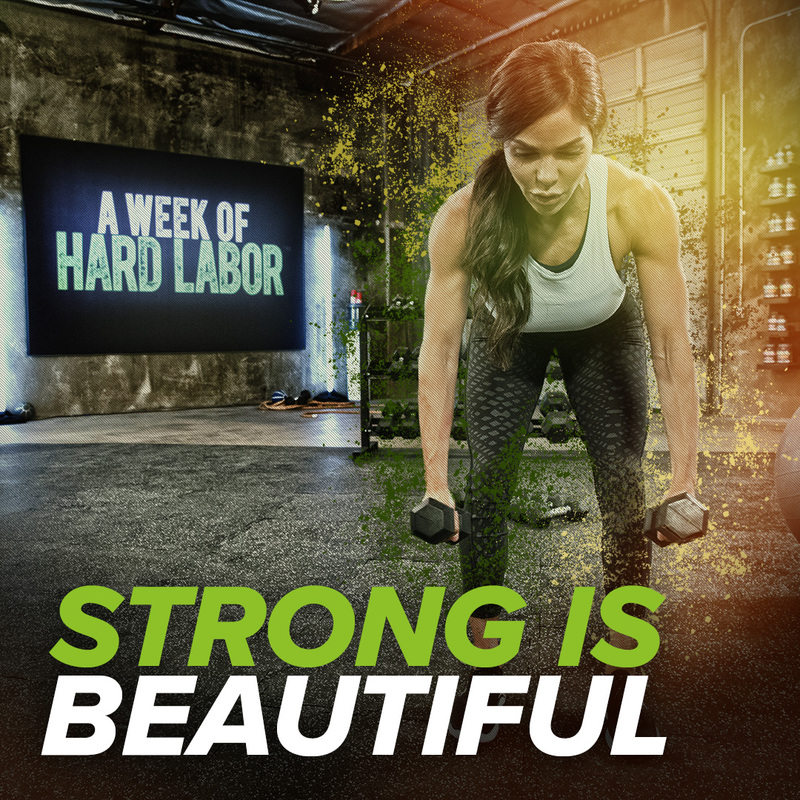 Because A WEEK OF HARD LABOR is one of the toughest weightlifting programs ever put on Beachbody On Demand, I do not recommend doing another workout during these five days. After this week, you can always do these workouts again, or you can mix it up with another Beachbody On Demand workout and return to A WEEK OF HARD LABOR on another week. There are over 700 workouts on Beachbody On Demand—everything from resistance training to cardio to dance to yoga—to keep you engaged every day. Today’s routine is Core! This dynamic core workout is tough and you’ll be working your midsection from every angle. A lot of the moves are done at a slow pace, so don’t think you’ll be rushing through this one. Embrace the challenge! Let’s get to it! I’m so so proud of everyone supporting each other throughout the week. If you’re starting to feel defeated with these punishing workouts, remember that we are here for each other—I am here to encourage you and lift up your spirits whenever you need it. When it comes to fitness, or other areas of life, it’s really about having the mental toughness to get through it. Today’s workout is Shoulders & Arms. We hit the shoulders hard in this workout. Only if you’re able to, follow it with a bicep curl challenge and dynamic tricep exercises and you’re done! Let’s keep the positive energy going. CONGRATULATIONS! Today is the last day of A WEEK OF HARD LABOR and it’s one of the hardest workouts yet—Total Body. This is no ordinary total-body workout. There are only five moves and two sets of weights, but don’t let that fool you. The reps will increase and decrease throughout the workout, leaving you feeling exhausted, but you’ll also feel accomplished when it’s done. So what’s next? The great thing about Beachbody On Demand is you have access to a ton of programs to continue your health and fitness journey. As I mentioned before, you can do another round of A WEEK OF HARD LABOR, or do a gentler yoga program to help you recover. You can also do Sagi’s Body Beast, which is a 90-day weightlifting program that is a notch easier than A WEEK OF HARD LABOR but will still test your fitness! Whatever you decide, I'm here to help you along the way! I'm actually starting a new [insert group name] Challenge Group on [insert date] and would love if you joined! Just message me if you are interested.